The latest trailer for the upcoming Xbox One MMO-ish game, Sea of Thieves, explains how many elements were designed around cooperative play. There are three main instances in which players have to work together to succeed. Sailing the ship requires at least three players, with one driving, one navigating using the map, and one navigating using the crow's nest looking out for dangerous objects in the ocean. Finding treasure on islands is also a co-op experience as only one player can have the map at a time and they must actually SHOW it too other players. Finally digging up that treasure will require all players to work together and get it back to the ship to cash it in for gold. There's no word yet just how cooperative Sea of Thieves is though because there is a strong PvP element in the game and it's unclear if you can turn that off or if there will be safe zones. There's a limited alpha test of Sea of Thieves this weekend that you may be able to get your hands on. You'll want to be part of the insider program to do so. 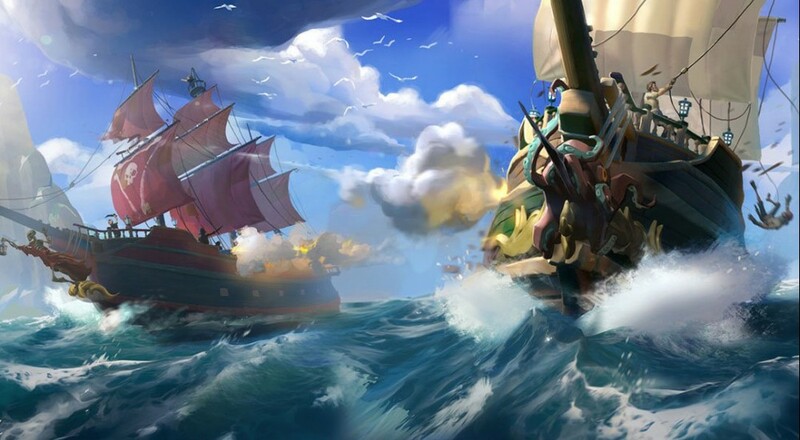 Sea of Thieves is out later this year on Xbox One, we'll have more coverage if we can nail down the co-op details. Page created in 0.6417 seconds.